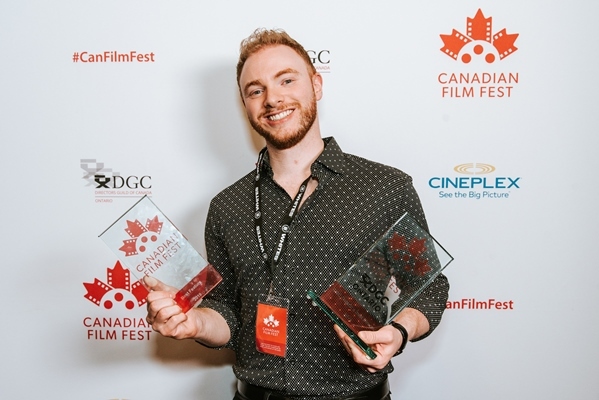 When David Cormican and Don Carmody arrived at the Banff World Media Festival in June 2014, they had one mission: To find another partner for their upcoming teen thriller Between. In the search for an international distribution partner, the pair arrived in the Rockies with several meetings already scheduled. 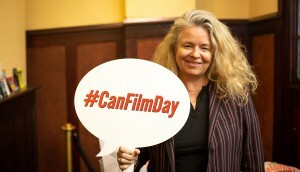 Through its relationship with Toronto-based distributor Elevation Pictures, the duo connected with Netflix’s VP of content acquisition Robert Roy and director of global kids’ content Andy Yeatman at the festival. Knowing they had a golden opportunity on their hands, Cormican says they didn’t want a typical meeting in a lounge. The unconventional meeting garnered dream results: Mere weeks after the fateful ride, Netflix had an offer on the table and officially signed on as a producing partner. Two months after the ink dried, production began in Cambridge, ON, and, as Cormican puts it, the platform offered the producers a “one-stop” solution to international distribution – one partner, 190 countries. A deal with Netflix might seem like a fairy tale. But for many, the SVOD seems as elusive as it is influential. With its ever-expanding library of content from all corners of the world, producers are up against the entire global production community, striving to create content that is relevant to an international audience. Indeed, getting Netflix’s attention can be difficult and the company often refuses to do media interviews (none of Playback‘s requests for comments were returned). Nevertheless, deals are getting done, and in many cases, Canadian producers are choosing Netflix offers over those from competing partners. But step one is getting it to pay attention. For Between, the gondola ride may have been an impressive gimmick, but that’s not to say there wasn’t also a lot going for the producers at the time. Indeed, some of the hottest shows of television’s so-called “golden age” have come from big-screen names, like House of Cards creator Beau Willimon (The Ides of March) and Sense8 creators Lana and Lilly Wachowski (The Matrix). This was also the case for Netflix co-commission Alias Grace (Halfire Entertainment), which benefited from the powerhouse names of Sarah Polley and Margaret Atwood. At the recent Realscreen summit in Washington, D.C. (hosted by Playback sister publication Realscreen), Netflix’s VP of original content Cindy Holland said in her keynote that the SVOD has a “bias toward production” rather than diving too far into the development process. This is why it tends to gravitate toward projects already in development. “It really comes down to trusting producers, hiring great creators, allowing and supporting them in what they do best,” Holland said. She added that because of its streaming, ad-free format, it’s not necessarily looking to maximize eyeballs in order to win a timeslot. Instead, it is looking to draw niche programming its viewers will adore. While Netflix remains closed-lipped about how many people actually watch its programming – producers Playback interviewed say when it came to ratings they knew as much as the public did – Cormican says Netflix was “very invested” in Between and provided anecdotal feedback that informed decisions for the second season. Cormican notes the production window was tight compared to more traditional projects, with shooting for Between beginning in October 2014 with the premiere set for May. “We would have preferred another month,” he says, adding Netflix requires producers to deliver the entire season a month before the premiere (unlike a linear network). But Netflix’s tight timelines aren’t always a bad thing. In fact, for many, they make the SVOD an ideal partner, says David Miller, co-president of independent distributor A71 Entertainment. Often what makes the deal appealing is the timeline and how it fits the needs of the series. Such was the case for producer Miranda De Pencier, president of Northwood Entertainment. Following the CBC’s commissioning of her Anne of Green Gables adaptation Anne, production was locked in to begin in August 2016. De Pencier pitched to Netflix’s VP of content Elizabeth Bradley in early spring and then went to the Arctic to direct feature film The Grizzlies, where remote conditions made her unreachable for four months, resulting in a number of missed urgent calls from Bradley. It officially signed on as a producing partner in June, with filming beginning in late August for a February delivery. She wouldn’t speak to how the payday from Netflix compared to the ROI on more traditional routes, but like Miller, noted the deal was most efficient when it came to the timing. While she wouldn’t disclose specific numbers (or how much other producing partner CBC contributed versus Netflix) De Pencier says the money the SVOD put on the table was significant. “[Production] can be lush and epic,” she says. “We have helicopter shots, multiple locations and big scope.” All of those things, she says, were only possible with Netflix on board. And Sandra Stern, president of Lionsgate TV Group, told conference goers at February’s Prime Time in Ottawa that the near-instantaneous nature of Netflix deals also has one other major advantage: The speed at which producers see returns on their investments. Shorter windows means producers have to have their ducks in a row, however. For Take the Shot, production on Frontier began just 30 days after the SVOD came aboard. Alex Patrick, president of the St. John’s, NL-based proco (Republic of Doyle, Majumder Manor), says Netflix wants to know the production is in good hands, from the script to the cast and crew. 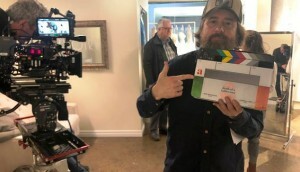 For Frontier, for which Netflix has the rights outside of Canada, that meant completed scripts and a reputable crew, in this case Republic of Doyle producers Rob and Peter Blackie and director Brad Peyton, as well as an almost-complete cast. There was very little back and forth when it came to working with Netflix, he adds. 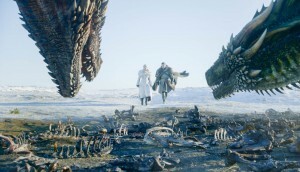 “They will weigh in on things like casting and script from time to time, but they’re very hands off and in that regard are very different from a traditional network,” he says, noting the SVOD prefers to make decisions very quickly, again alluding to the tight timelines Netflix is known for. The only suggestion it had was the casting of Frontier‘s lead, Jason Momoa (Game of Thrones, Batman v Superman). 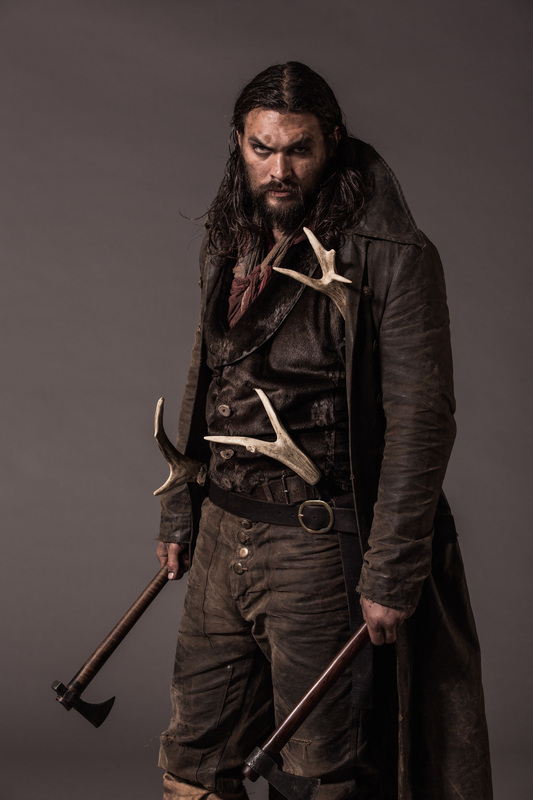 Momoa was a strong fit artistically, but Netflix was also confident he was a strategic choice in terms of its data, and his joining as the lead became a linchpin to the SVOD stepping in as a co-commissioner, Patrick says. It was similar for Don Carmody’s Between. Netflix introduced the producers to American actor Jennette McCurdy (Victorious and iCarly), expressing confidence that her starpower would give Between a lift with young audiences. But after those lightning-fast delivery timelines, once the series drops, Netflix can hold onto the series for a very long time. In the event of cancellation, producers would still be free to push forward with the series with another partner. Hypothetically, if Netflix were to choose not to renew Anne but CBC did, Northwood would still be free to produce upcoming seasons with another partner, although De Pencier says it would be imperative to find a second partner in order to match the quality of the first season. But there’s the added complication of Netflix holding globe-spanning rights of the seasons it produced, and creators having to shop a series to another network without the original episodes. De Pencier, however, didn’t seem worried about that aspect. Financially, “producers get a relatively modest – but fair – amount of profit,” says Levine. Josh Scherba, EVP distribution and content with DHX Media, agrees the terms were “lengthy” when DHX signed with Netflix in 2015 to pick up the recently cancelled series Degrassi, but he also wasn’t bothered by it. 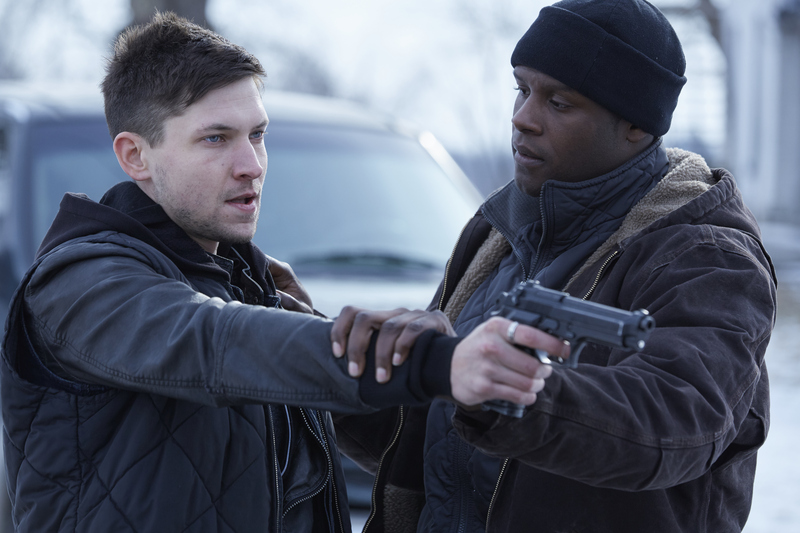 In fact, Netflix was willing to offer flexibility on international rights for the series. Ultimately, says Scherba, the one guaranteed way of knowing how your project is doing with Netflix is whether or not it’s renewed, which could cause anxiety for some producers. With producers from almost every country in the world vying for the SVOD’s attention, Netflix has raised the bar significantly for content creators, says Levine. A good idea isn’t good enough. Netflix has the data to know what will work with its audience, and if it doesn’t fit (or come from a well established, reputable team), securing a deal would be near impossible. But is the anxiety around numbers and rocket-fast timelines worth it? With the opportunity to have a show seen by people in 190 countries, the chance to create a production fairly independently and, of course, the bragging right of getting a “seal of approval” from Netflix, most say yes. This article originally appeared in the Spring 2017 issue of Playback.